Wish to have smooth and healthy skin like a child’s? Treat your facial skin with vitamin “cocktails” at least every six months! Mesotherapy replenishes your skin with vitamins and nutrients in just 30 minutes! Do you live in Moscow? Do you like coffee? Do you smoke? — Your answer is “Yes”? Do you often go to the country? Do you eat green apples every day? Do you drink freshly squeezed juice and natural kefir? — Your answer is “No”? There is nothing to be surprised at. There are no miracles. But you can do something about it! Treat your skin with vitamin cocktails. In just 30 minutes your skin will get all necessary vitamins and nutrients for the next 6 months! Is that a miracle? No. It is mesotherapy! What result will you obtain? After the first treatment session the lifting effect will be visible: your skin will be tightened and smoothed, it will become resilient. If you need a more prominent result, have 2-3 sessions. Then, the deepest wrinkles and dark circles under your eyes will disappear, your complexion will improve, your skin will become more resilient and firmer, the face contours will be redefined. Personalized selection of the cocktail. Our doctors select the particular vitamins and nutrients you need. No “magic” products that suit everybody! Only an individual consultation where the problems and needs of your skin will be determined! Only certified preparations. We are ready to show you all certificates of compliance. It is a serious matter! 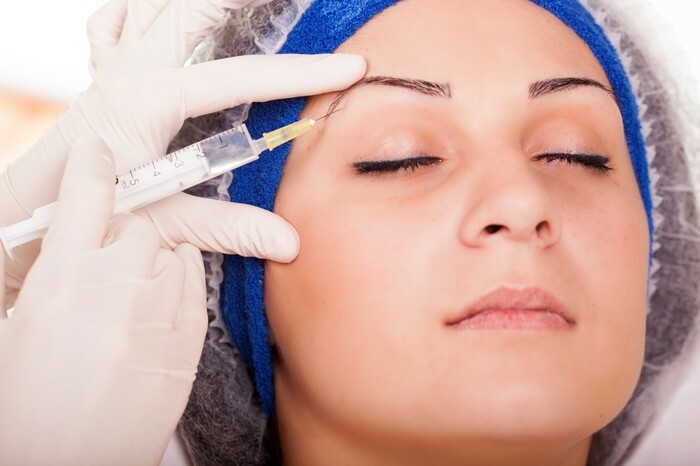 We have seen several coupon websites which offer facial mesotherapy at very low prices: even lower than the prime cost of preparations set by authorized suppliers… It is frightful to think what they inject into their patients’ skin! Be careful and always ask for certificates! Only skillful doctors. Again, we are ready to show you our specialists’ diplomas and certificates. Even the highest quality preparation may become dangerous when used improperly. You have to rely upon your beautician completely. Bioactive points. If cocktails are administered into special bioactive points on your face (instead of injecting them just anywhere), the effect of mesotherapy will be 2-3 times more significant. Our doctors know how to find those points. Mesotherapy in the center of Moscow. Our clinic is in the center of the city next to “Mayakovskaya”, “Pushkinskaya”, “Novoslobodskaya” and “Tsvetnoy Bulvar” metro stations. We have a convenient car park. Welcome! As you can see, the price of a treatment session at our clinic starts from 700 rubles. It is the amount you can spend on a trinket which you don’t actually need. Which is more important for you: another lipstick (scarf, mascara, etc.) or the health, youth and beauty of your skin? If you save just 13 rubles a day, you will be able to regularly treat your face with delicious cocktails that are so good for your skin! Do you want to save your money? Order a full course of treatment and get additional 10% off! By the way, you can have mesotherapy for any part of your body to obtain lifting effect and reduce cellulite! For example, it can be performed for your abdomen or buttocks. Many women have the procedure to lose weight and with great success! You can find more details here. Would you like to know what patients say about mesotherapy? Call us at 8 800 700-72-87 to book a free consultation or place your request right now.